Just because you’re flying economy doesn’t mean your wine drinking has to be cattle class – if you follow these rules – you’re gonna be flying high! I fly a lot for work, and like most Australians, we are bullet proof when it comes to flying 24 hours to get anywhere decent in the world. For me, drinking wine on board serves two purposes – it tranquillises me so I can get a decent sleep, and serves as a form of entertainment. Yes, I’m a wine geek, even 187ml bottles of economy wine get me excited. But be warned – while there are ‘THE EXCELLENT’ wines, there’s also ‘THE MEDIOCRE’ wines, and the, ‘I’LL HAVE A GIN AND TONIC INSTEAD’, wines! There’s a real science that goes into choosing wines for airlines, and if you understand this, your choosing ability will be so much better. You see, wine actually tastes differently when you’re travelling at 30,000 feet – that’s because the air you’re breathing is actually recycled, which dries up your palate and makes wine taste slightly different. The makeup of the wine doesn’t change, just the way you perceive it. 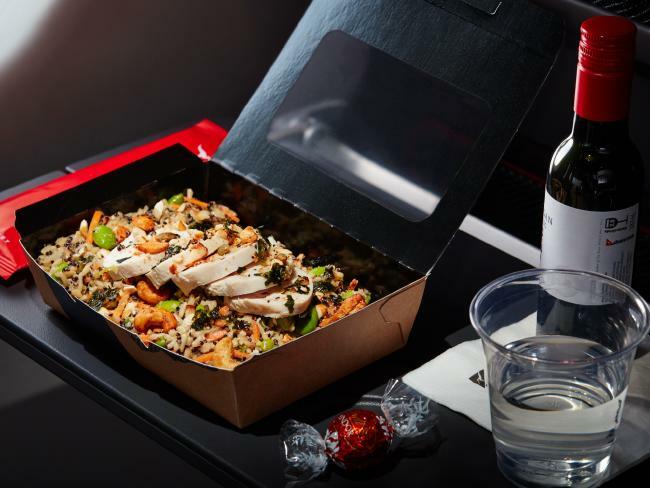 When I’m choosing a white wine to go with my airline meal, it needs more flavour than what I’d normally drink on the ground. 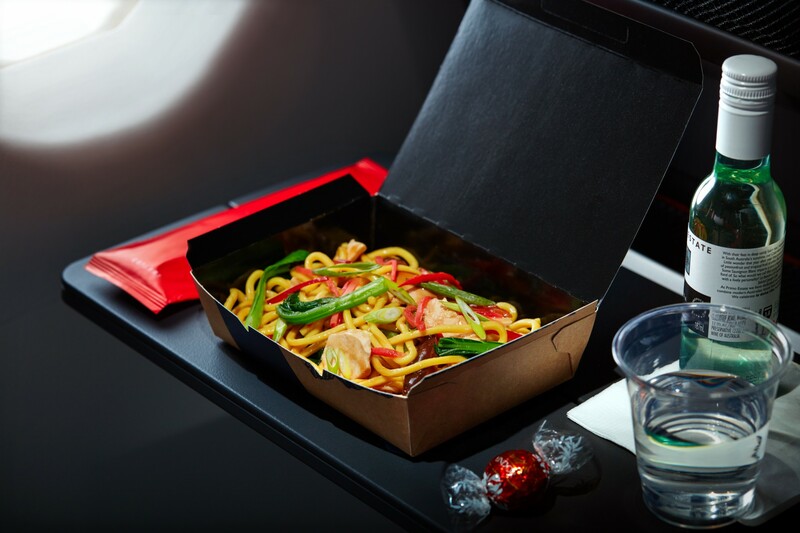 You’ll notice that airline food is never bland – and that’s because there’s always a rich sauce to accommodate your palate drying out. A medium to fuller bodied, fruit driven white will counterbalance this. If you’re unsure about the wine’s flavour, ask for advice. Just because you’re flying economy, doesn’t mean you can’t enjoy business class service. Quality airlines train their staff in basic wine knowledge and often have more than one option to choose from. 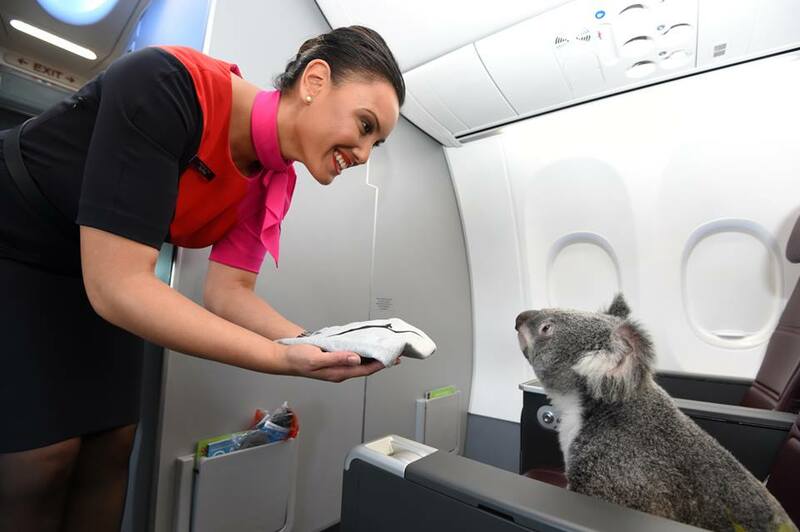 With Qantas, they usually have a fully trained sommelier flying on each long haul leg. 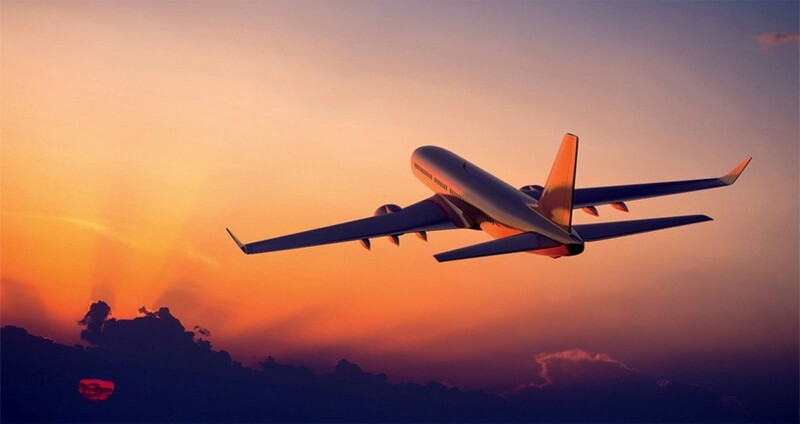 Their services are available to all passengers – even Economy. Their expertise will help you choose the right wine with your meal. Up next – we profile Qantas airline’s selection panel and how it chooses its Economy Class wines. I can’t drink alcohol, but I found this a really interesting post to read Drew. You’re absolutely right! We just learned this flying to Australia this week. Thanks for the tips. Recycled air…? What do you mean by that? And why would it dry out your palate? The cost of taking in outside air, heating it to cabin conditions, pressurising it to cabin conditions would be expensive and take a lot of heavy equipment. To minimise this cost, some cabin air is recycled (it is already at pressure, and it does not need to be heated). And … the air from outside has very little humidity in it, so the air is naturally dry. And … if you fly with a lot of sick people, you will get their recycled air (i.e. germs). One of the joys of flying. wow – that’s very insightful! fully trained sommelier flying on all long haul flights! – wow I totally didn’t know this. No wonder I love Qantas so much!!!!!!! As an expat Australian/Brit who lives in New York, I have found that the accent and being friendly can pay off enormously. Sometimes after chatting to flight staff, I’ll be given one of the nicer wines from up-front. I guess people get seek of being pestered by stressed out folk who aren’t on their best behavior. Actually the same applies in wine stores too. Sometimes you have to ask questions indirectly to get a frank response. Human nature. Most folk in wine stores are waiting, wanting to be helpful and there’s nothing like the joy of sharing a great new wine with someone. It’s a shame that there are others in the industry who like to intimidate with snobbery or confusing language which leaves so many consumers afraid to ask a question and look dumb. Growing up in Australia was one of the luckiest things that happened to me and time and again people are generous to me because of it.